"LUMBERJACK MAN" is the next film in After Dark Films ‘8 Films to Die For' ! 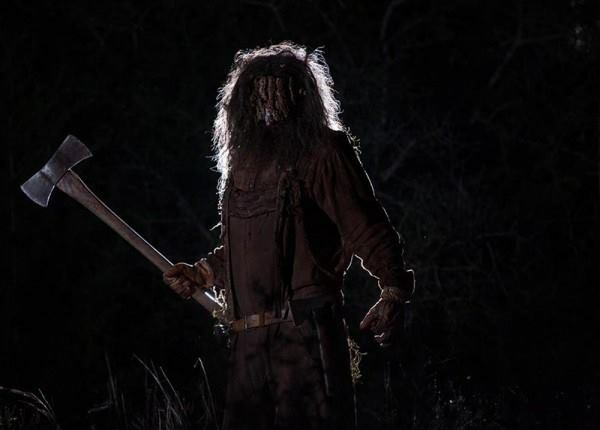 Directed by Josh Bear, produced by Bill Muehl, with story by Josh Bear and Bill Muehl, and screenplay by Ed Kuehnel and Matt Entin, the film stars Michael Madsen ("RESERVOIR DOGS", "KILL BILL: VOL. 1"), Alex Dobrenko ("BLOODY HOMECOMING"), Ciara Flynn ("REPLICA 114"), Chase Joliet ("ZOMBEX"), and Adam Sessler ("X-PLAY"). The deal was negotiated on behalf of After Dark Films by Ian Brereton. ‘8 Films to Die For' will be released in theaters on October 16, 2015, with Twentieth Century Fox Home Entertainment handling all ancillary forms of media, including Digital HD, DVD and VOD. 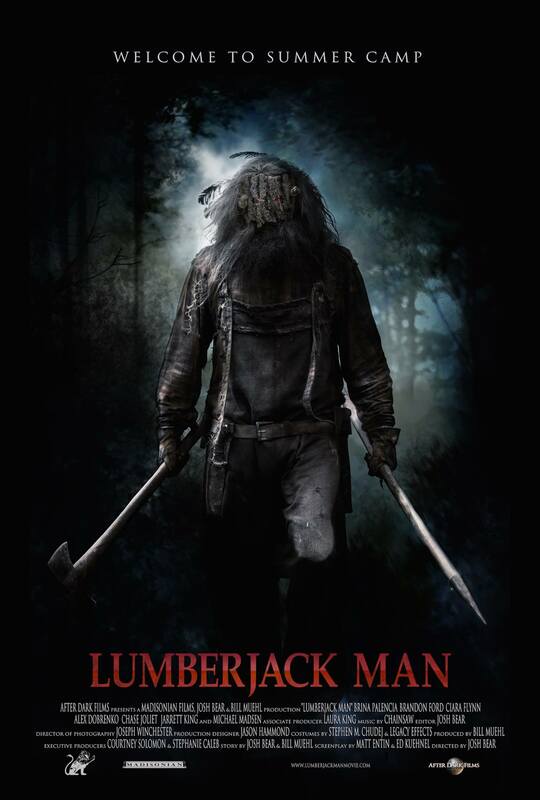 Synopsis : As the staff of Good Friends Church Camp prepares for a spring break filled with "Fun Under the Son", a demon logger rises from his sap boiler to wreak his vengeance and feast on flapjacks soaked in the blood of his victims.